AP reports former Gov. 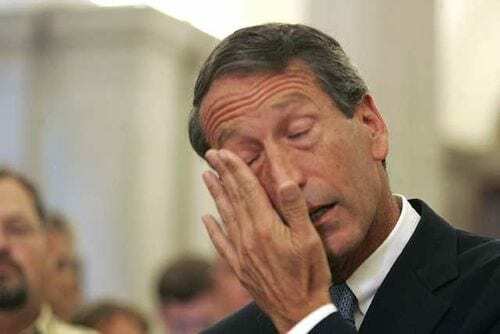 Mark Sanford wins Republican primary runoff in South Carolina’s 1st District. Former Gov. Mark Sanford has won in the GOP runoff election for a vacant South Carolina congressional seat, the latest test of his bid to resuscitate his political career. With 75 percent of precincts reporting, Sanford led his underdog opponent, former Charleston County Councilman Curtis Bostic, 56 percent to 44 percent, according to the Associated Press. Sanford will face Democrat Elizabeth Colbert Busch, a Clemson University administrator and the sister of comedian Stephen Colbert, in the May 7 general election. “I think tonight’s verdict will say a lot as to where people are or are not on that,” … “I suppose at some level, I will never completely move beyond that.” said Sanford. This entry was posted on April 3rd 2013 at 1:33am/01:33 and is filed under Elections, Live News Column 1. You can follow any responses to this entry through the RSS 2.0 feed.